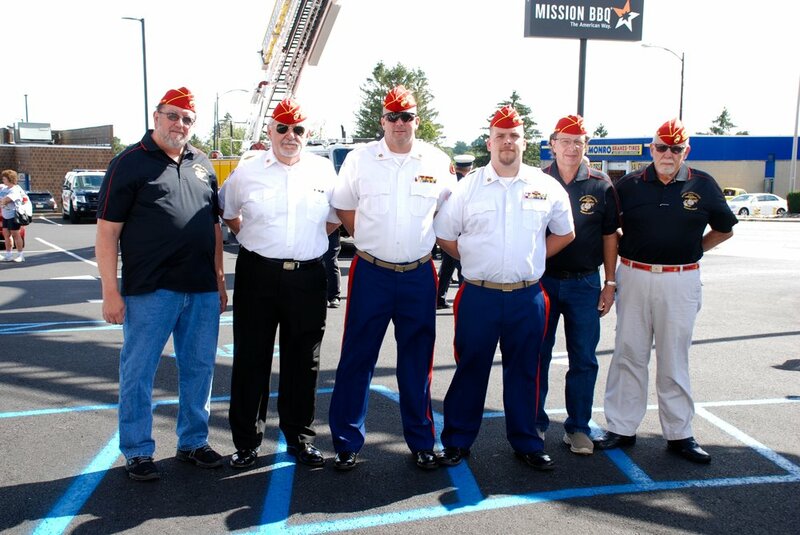 Lehigh Valley MCL Detachment 296 provided the Color Guard Unit for the Sept. 11th Remembrance Ceremony at Mission BBQ in Whitehall, PA. It was a beautiful sunny day with a slight breeze. In attendance were many local emergency service units. The ceremony began with the Detachment Color Guard marching up, followed by a brief speech, and rendition of the National Anthem, and followed by some closing remarks. Thank you again to Mission BBQ for showing their dedication to the military and first responders.